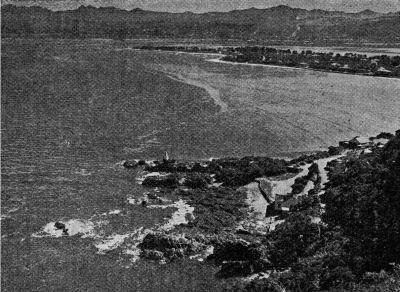 Steenbok Island captured the attention of George Cearn in 1929 and to the great astonishment of many he set about turning the uninhabited little island into a place where people could live and build their homes, raise their families and retire in idyllic surroundings. He re-named it Leisure Isle, and set about turning his dream into reality. The Island was declared a township in November 1935. Preparations took shape under Cearn’s meticulous eye and clusters of pine trees were planted as well as the avenue of gums along Links Drive. During the 1930s George Cearn set about building a nine-hole golf course on the site now known as Steenbok Nature Park. Sand dunes were flattened and planted with grass, and fairways, bunkers and greens were laid out. 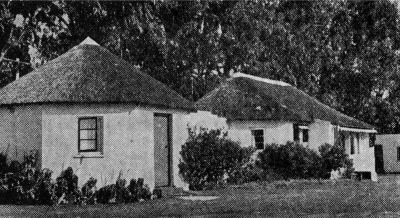 The Cearns built a house near the course. 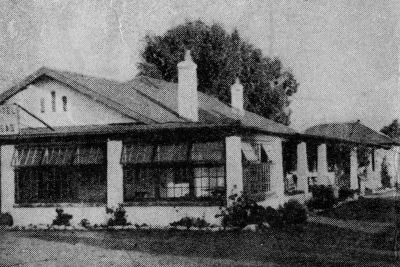 The Knysna Golf Club had at that time a rather miserable course on the slopes near Thesen Hill known as the ‘goat course’, and in 1939 it was decided that they should make the new course on Leisure Isle their home. In time this became the clubhouse and with an extension a Private Hotel, which became the pivot of social life on Leisure Isle. Following the securing of a liquor licence it became the well-loved Leisure Isle Hotel which survived for many years. A fire eventually destroyed the popular Leisure Isle Hotel and in the mid 1990’s, a group of concerned and dedicated residents initiated a management arrangement with Knysna Municipality to upgrade the eastern end of the northern shore from the disused golf course and established Steenbok Nature Park. Funds were raised from The Rowland and Leta Hill Trust and from individual residents of Leisure Isle. Significant progress was made with mowing pathways and creating open spaces around islands of indigenous grasses, enclosing the area with an attractive wood-pole fence, establishment and maintenance of an indigenous and other gardens and putting in place the entrance portico and signage. A start was made on the identification of plants and grasses in an herbarium and photographs of flowering plants displayed in a cabinet donated by a resident. Kingfisher Creek at the west end still retains its original character and charm with the salt mash vegetation in excellent condition. Between Steenbok Park and Kingfisher Creek bowling greens and tennis courts were established and a small boat harbour constructed in the early 1990’s. the area can be enjoyed and appreciated by all the residents and visitors of Knysna. The initiative bore fruit. Positive and active support was given by Cape Nature, SANParks, Knysna Environmental Forum and Knysna Municipality, in whose name the properties are registered. In February 2006 the Knysna Town Council entered into a partnership agreement with LIRA covering the management of these parklands. The objective of the management agreement with Knysna Municipality is to improve the conservation status to the highest level – warranting protection by the most appropriate environmental legislation available. In mid 2007 a campaign to raise funds was launched, producing over R600,000 from generous supporters of the venture. A trust was formed as the custodian of funds raised. The trust is managed by six trustees representing the major stakeholder. In July 2011 the KM/LIRA management agreement was extended for a further period of ten years. In doing so certain procedural clauses were tidied up and improved whilst the original objectives were retained. At a function opening one of the new features of the Reserve, a boardwalk across the salt marsh, Roger Voysey outlined progress in establishing the Reserve and announced the formation of The Friends of Steenbok Nature Reserve. Click here to access the address presented.